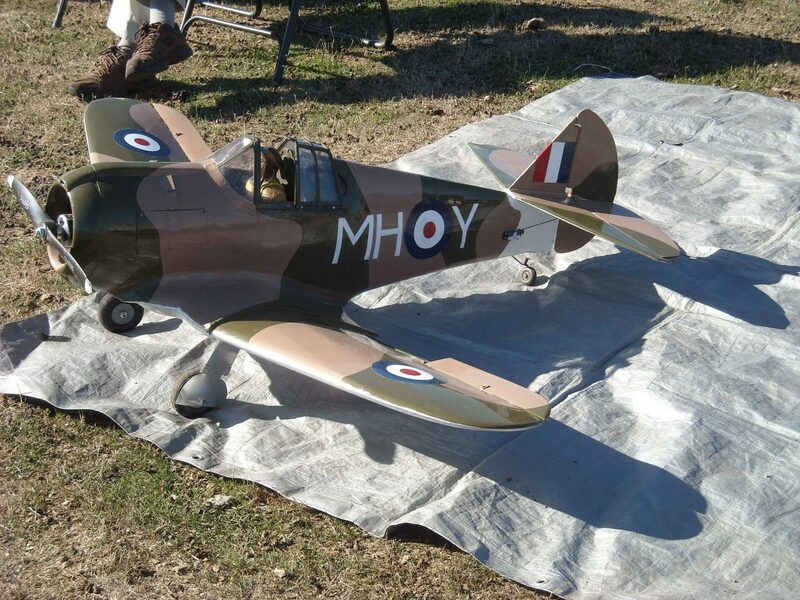 Hangar Talk – March 2018 — Launceston Model Aero Club Inc.
A rather quiet March club day with 10 members turning out for the day. Those present were, Geoff, Vince, Fred, Richard, Mike H, Alan, Kevin S, Max, Kevin H, yours truly and the ladies, Kerry and Mei Lin. The numbers were bolstered with three visitors; Ray Lloyd from Sheffield who is looking to join in the new year. Bill Warboys who was also looking to join and came armed with his clipboard and pen so he could write down any key information and the names of everyone he met. Nothing like being prepared! One other, a visitor but I don’t recall his name. 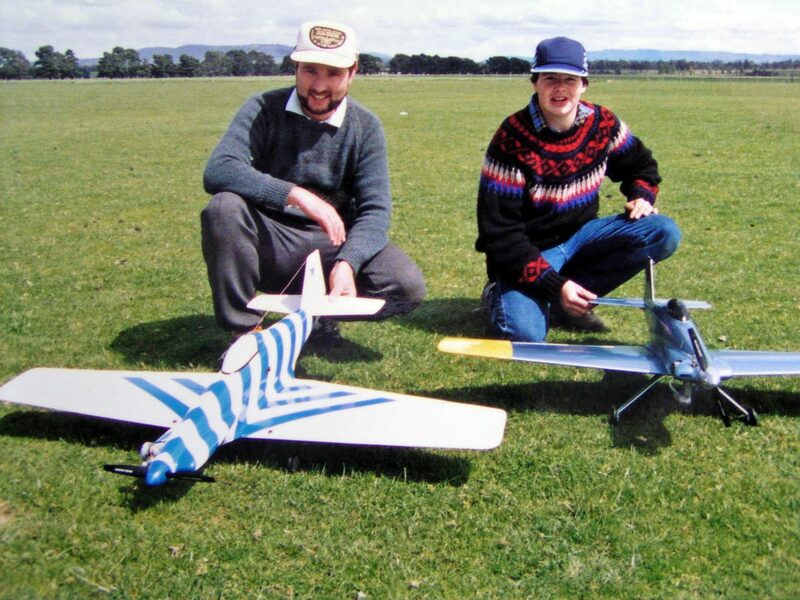 Richard C has inspired a few people with his Durafly “Tundra” from Hobbyking. So much so that there has been a rush from a few members to buy one. 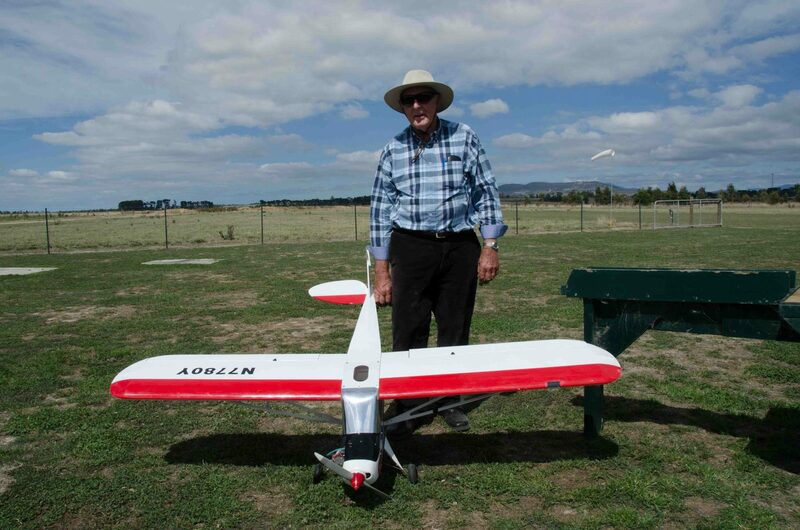 Vince and Mei Lin have bought one each and so did I. They’re a fun plane with STOL capabilities, big wheels and reasonably priced – just add your Rx and a battery. Lunch was catered for by Geoff with help from the ladies. 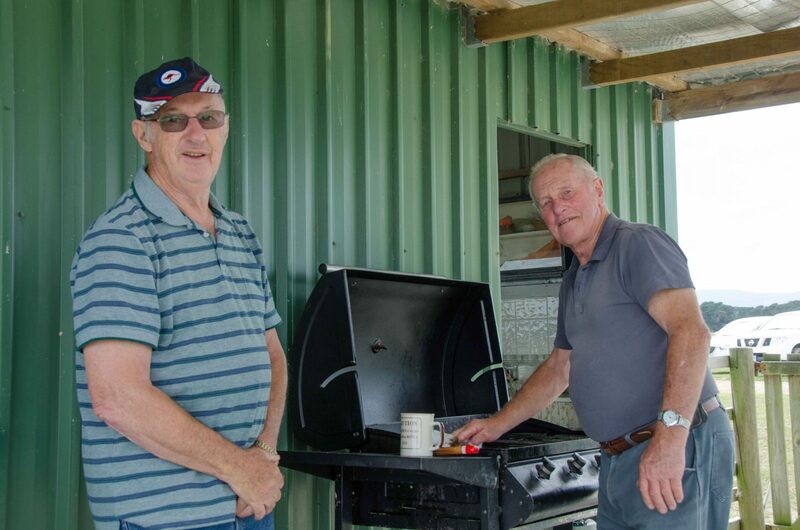 By the way, don’t forget the request from the committee if anyone wants the club BBQ (unless it’s already taken) as Kerry and myself have a brand new BBQ in storage that we will donate to the club once the old one is gone. 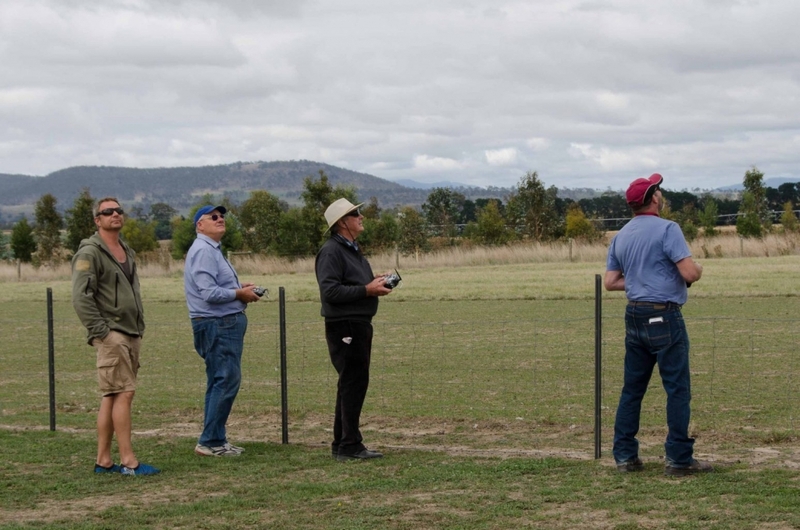 Vince watches on as Max, Fred and Kevin concentrate on their flying. 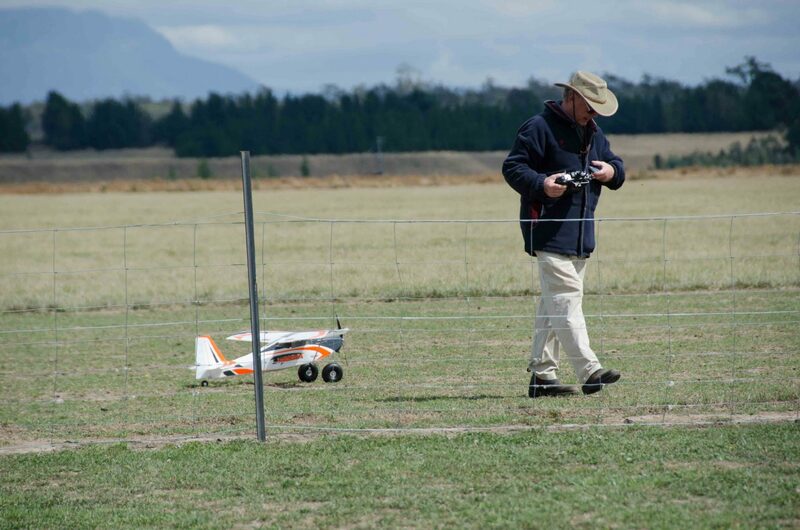 George having a rare day out flying. Fred has an "off-strip" landing. 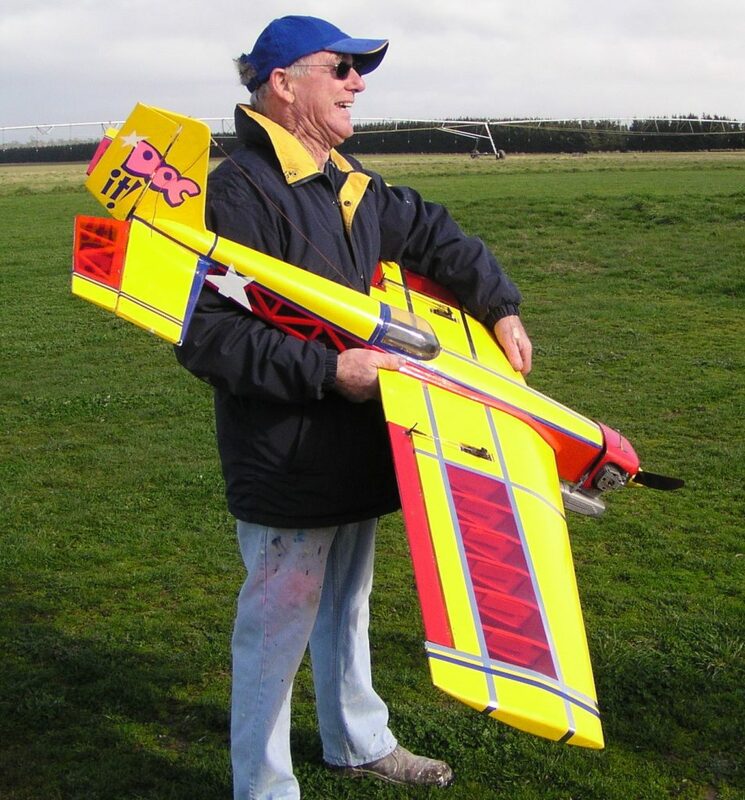 No damage as Fred carries his model back. 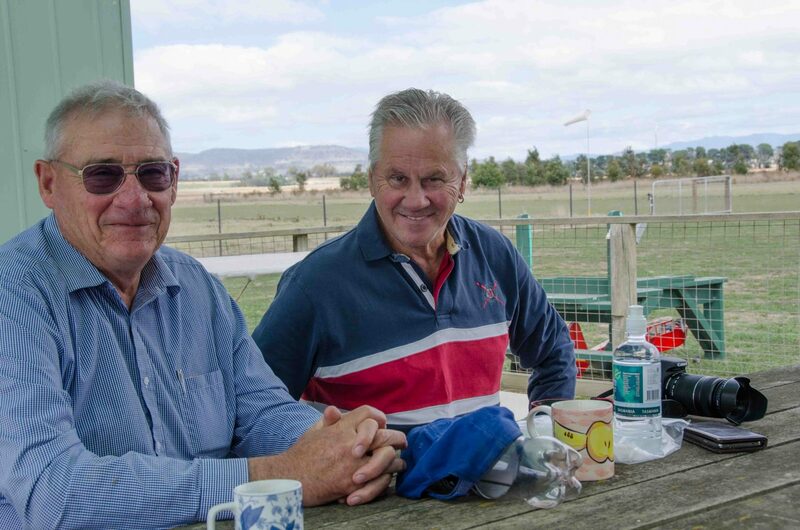 Max and "soon to be member" Ray Lloyd enjoyed a bit of conversation. Kevin S and Geoff catch up as Geoff prepares the barbecue. 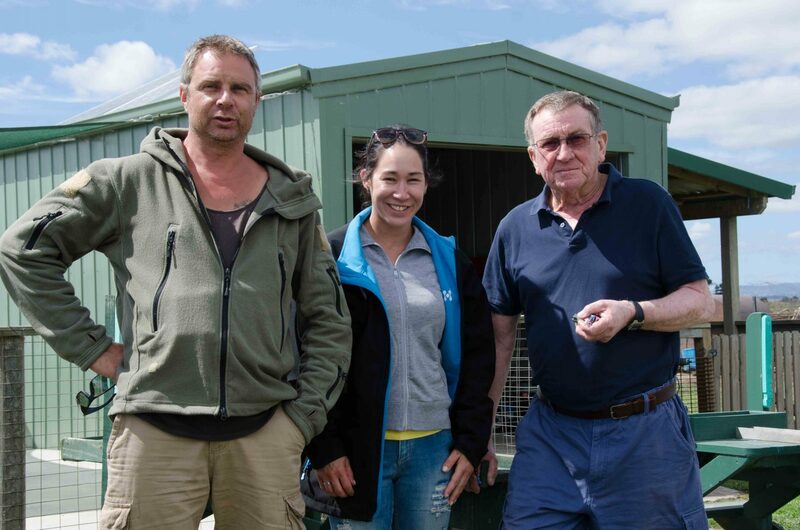 Vine, Mei Lin and Alan are all smiles on the day. Fred and Kevin H catch on what's been happening. 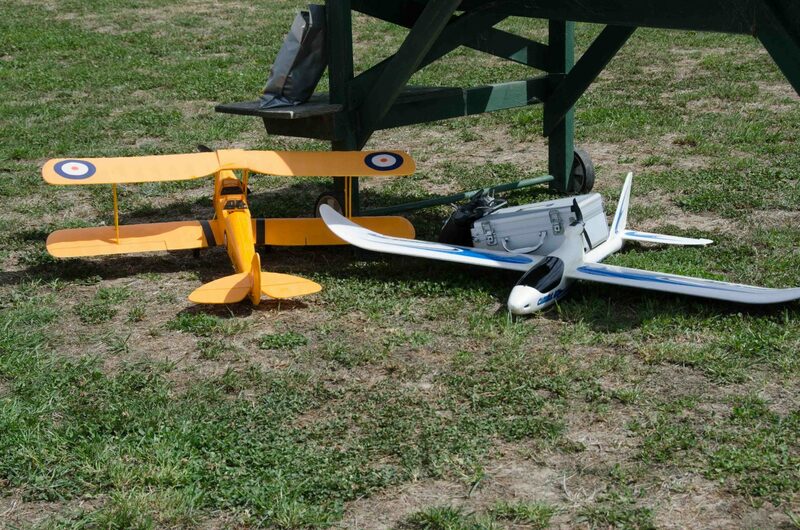 Max's stable of models for the day - Tiger Moth and his "fly in any weather" HK Cloud Sky. 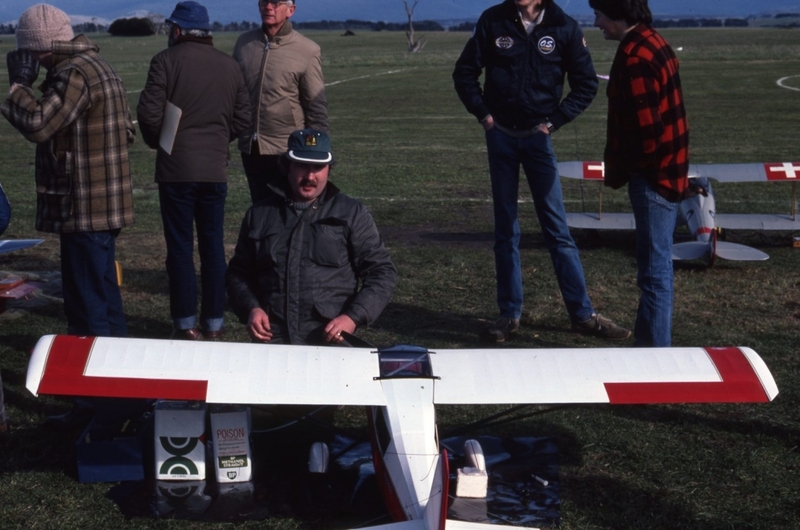 Richard readies the now popular Durafly "Tundra"
March 14 – “Doc” Baldock’s “Boomerang” maidens. 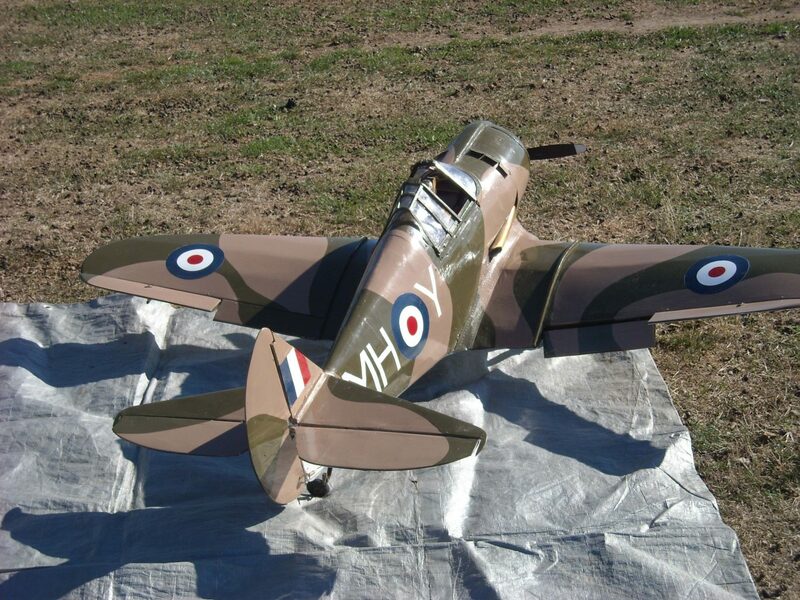 Doc Baldock has continued his prolific building and this month maidened his latest scratch built project a CAC-19 “Boomerang” WW-2 fighter, designed and built in Australia. Here is the email from his “test pilot”, Peter Daniel. Hello George. 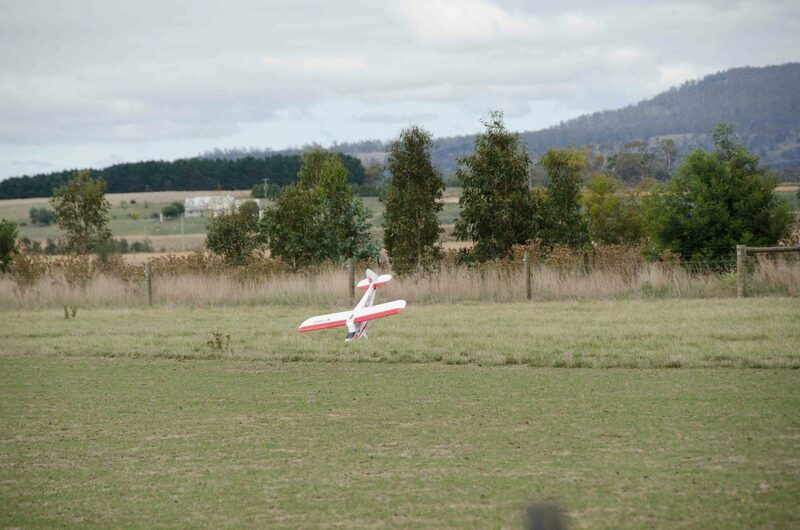 Yesterday we flew the Boomerang. Conditions were perfect. I held it down for a good time before lifting off just to be sure of no stall on takeoff. She only needed some up elevator as it is a bit nose heavy. Did 5 circuits and brought it in for a safe landing . At 19 pounds she flies very fast and I was not too keen on slowing her down too much for landing and she nosed over but without damage. 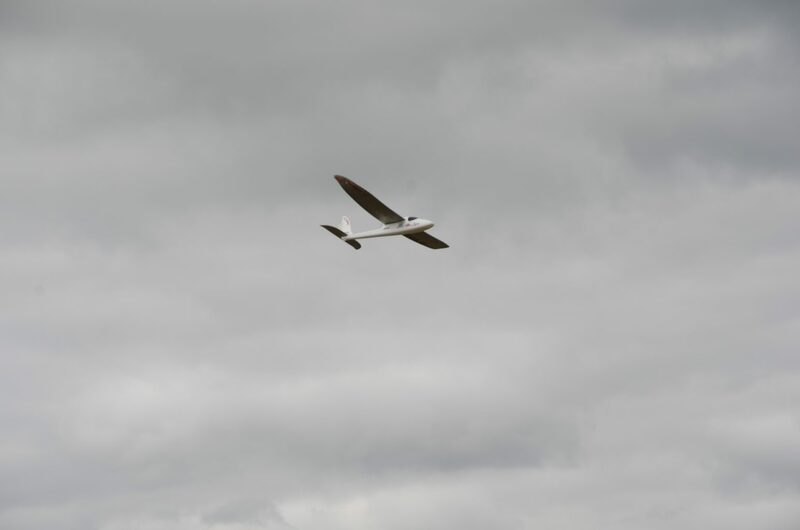 We will fly again next Wednesday and get to a fair height and slow her down to find out her slow flying characteristics. 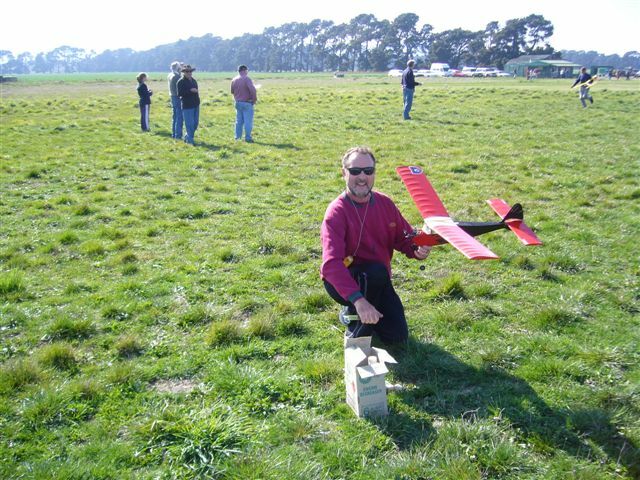 We were a little worried about the seemingly small wing area and weight. Did find her a little fish taily on hard acceleration but that is not too bad and probably due to the short coupled design. 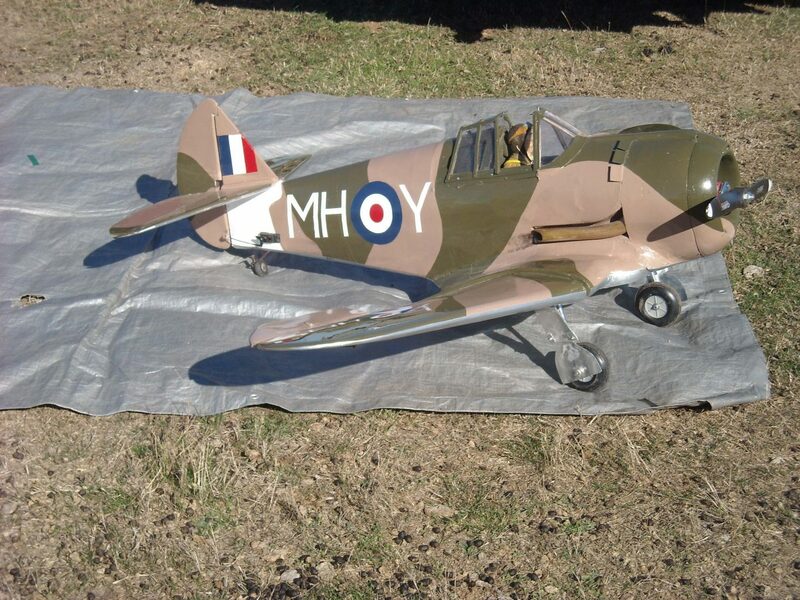 The full size aircraft that Doc deigned his model from. 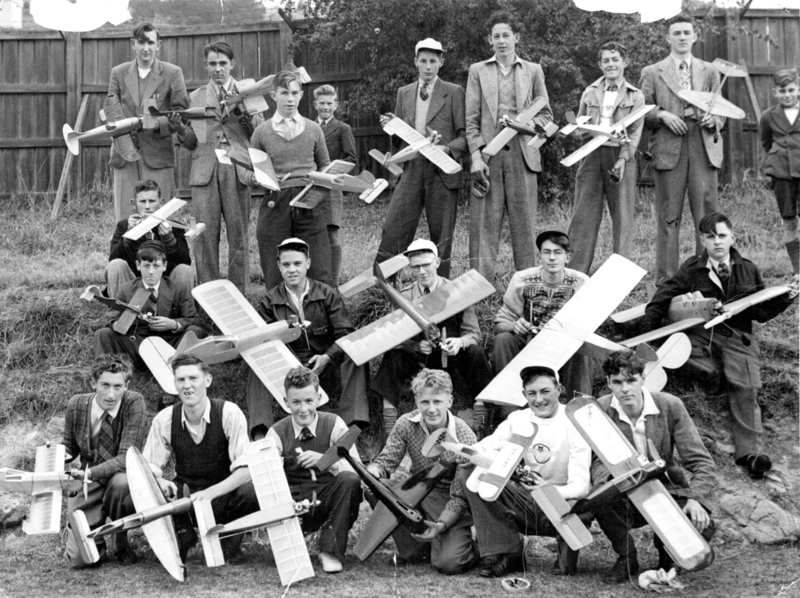 Readers might recall my request to members for any photos and accompanying words describing the development of the club from those early days in 1945, described in Dave’s words in the “About Us” post. I had two replies and guess what, they are from my usual go-to people, Peter Daniel and Dave Jacobs. 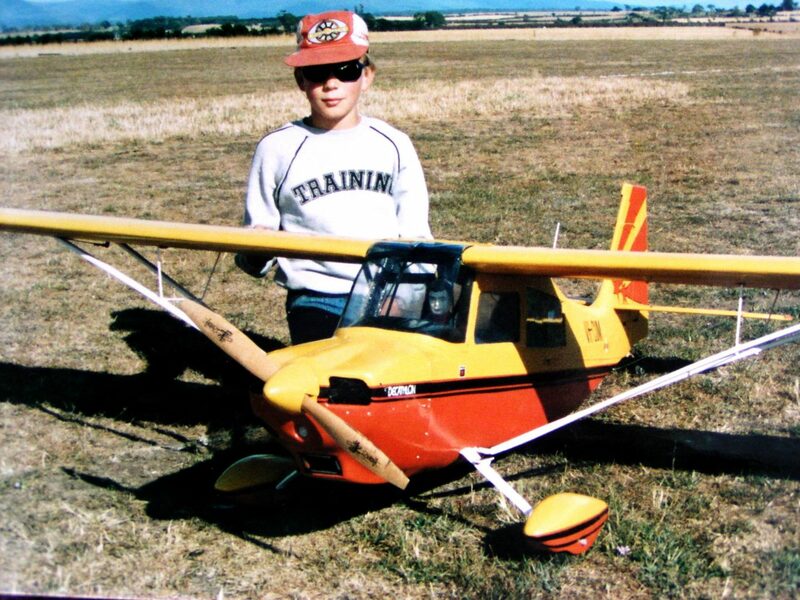 Here are a few photos and captions from Peter D.
My son Cameron with my second Decathlon in 1987 at Symmons. 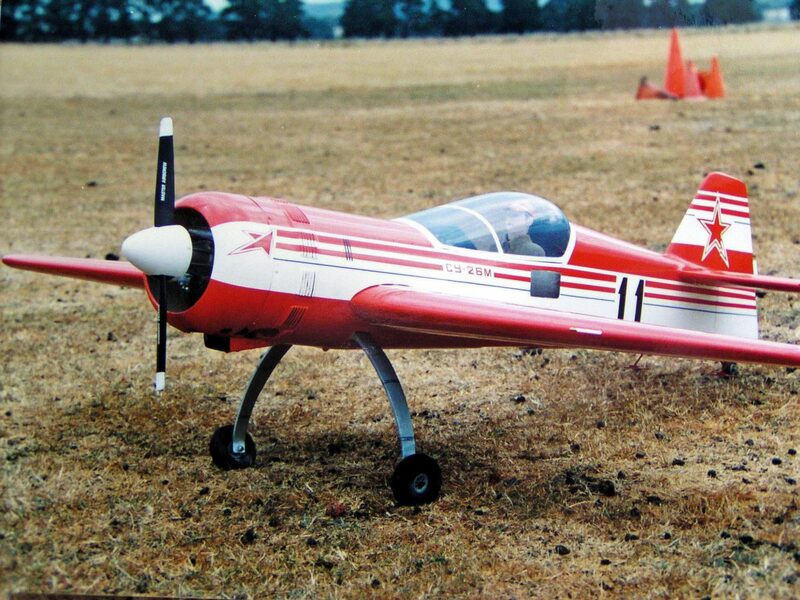 One of my models, a Sukoi Su 26 m with a 90” span and 30cc Tartan motor. Amongst those sent in by Dave were these two. If anyone can fill in some of the names, let me know by leaving a comment. Clare St Oval – Hobart 1946</strong> Back Row – 4th from the R, Dave Jacobs Middle Row R-L – Gerald Harvey, Miles McGinnes, Laurie Baxter, Dave Reynolds. Next is a photo that Dave tells me is related to Logan Rd Evandale. Fill in the missing names. (I’ve filled in who I think they are but taken a guess at 2 of them with a ? mark after their name)” UPDATE: My face recognition wasn’t too bad. Geoff H sent me an email and confirmed I had most of them right and he added the 3 missing names. 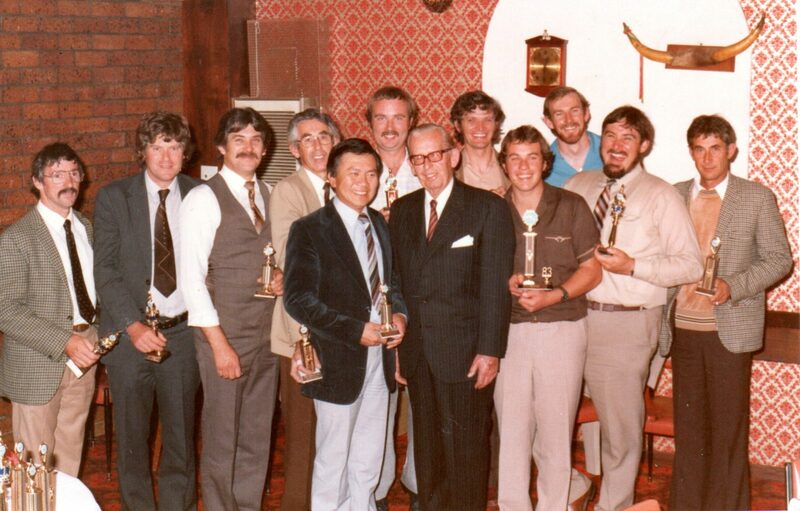 He also advised that the photo was taken at The Matador Restaurant in York St in April 1984. It was the club’s first trophy night. 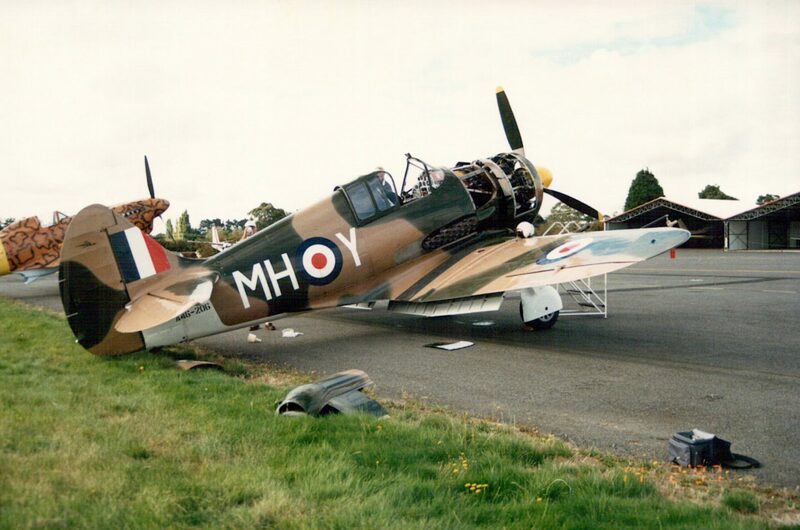 “I remember this incident from ‘way back’, which was amusing. 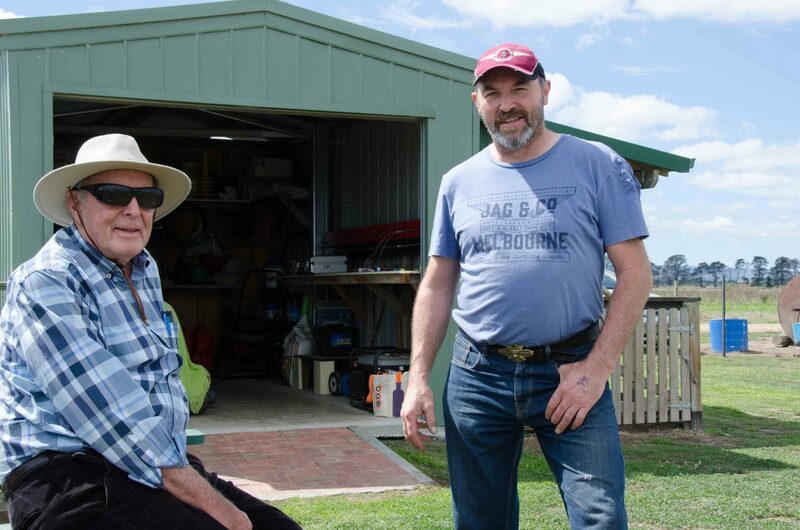 A middle aged codger knocked on my door asking me could I help him start his diesel engine that he had been given. 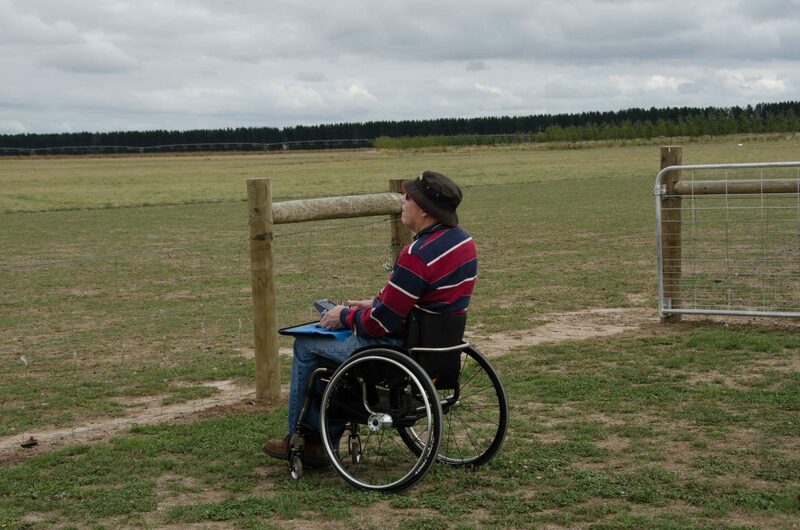 He hadn’t been given any instructions on what to do! 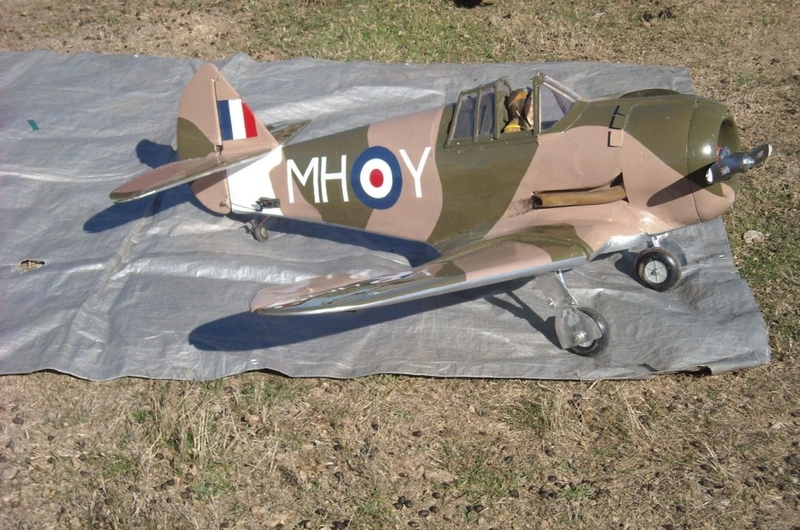 The engine was perhaps a 1.5cc capacity, and was fastened with countersunk screws to a bit of 2×1″ wood. He did however have a squeegee bottle of fuel. I agreed to help him and filled the tank and primed the engine. 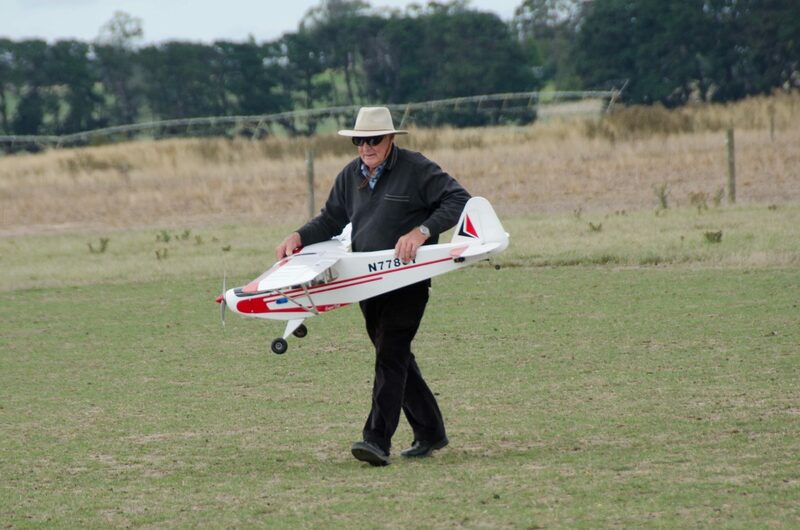 The engine felt a bit tight, however I started flicking. It eventually fired and gave my finger a painful whack! I was a bit concerned when I noticed what appeared to be spider webs coming out of the exhaust ports. I asked him what fuel he was using and he told me it was DOPE. Yes that’s what it was. Pat, my wife, fixed my finger with a bandaid!